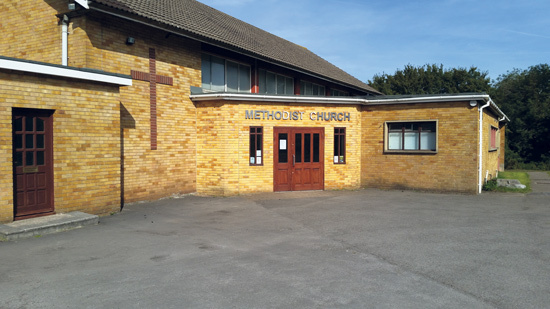 BADMINTON Road Methodist Church is getting closer to providing exciting new facilities for families and the community following the building of nine new houses nearby. The church has had ambitious plans for some years to transform the interior of the tired 1950s building to make it a nicer place for people to visit. The revamp, known as the Creations Project will enable a permanent worship area within the building as well as play areas and a more regular café. The minister, the Rev Pearl Luxon, said: “We had a vision for Badminton Road Methodist church and the future it has here and we called it the Creations Project. The vision is to make this church site and grounds an even more vibrant community hub, with better, up-to-date facilities and with church life at the centre which is open and welcoming. “We hope to have a more regular café open to all, and to build on our current activities for both young families, the elderly and isolated and others who need a place to meet. “We have AA, a Stroke café and a ‘scratch band’ that also meet here regularly along with uniformed youth groups, of which we currently have 11, who we hope will also find the premises, bright and light and smart. The plans also include a redesigned car park and landscaping, with more easily maintained planting along the roadside bank, and, if the church can raise the funds, further outdoor improvements to enhance their link with the environment and finish off improvements in the old youth club area. The sale of the land alongside the church for the housing development by Cotswold Homes will help fund the Creations Project, but costs have soared since it was first planned so more funds are needed. Meanwhile, Cotswold Homes, which is building the detached development known as Princess Way, says most of the properties have already been sold.